Now that I’m grown up, I cook champorado not only during rainy days but whenever I feel like eating it. 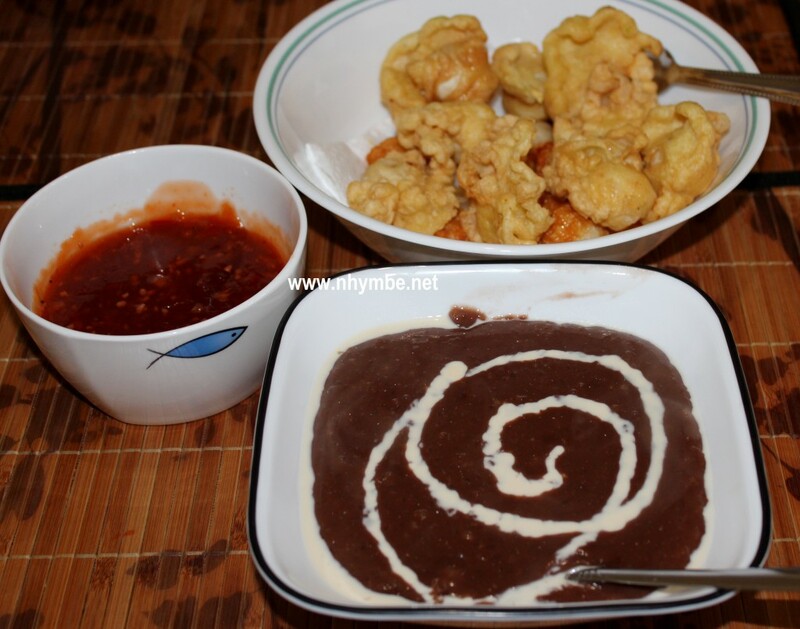 And I don’t usually pair it with fried, dried fish, instead, I pair it with fish balls or sometimes tokneneng. 🙂 That’s the way I want it now. Click here for my “Tokneneng” recipe. 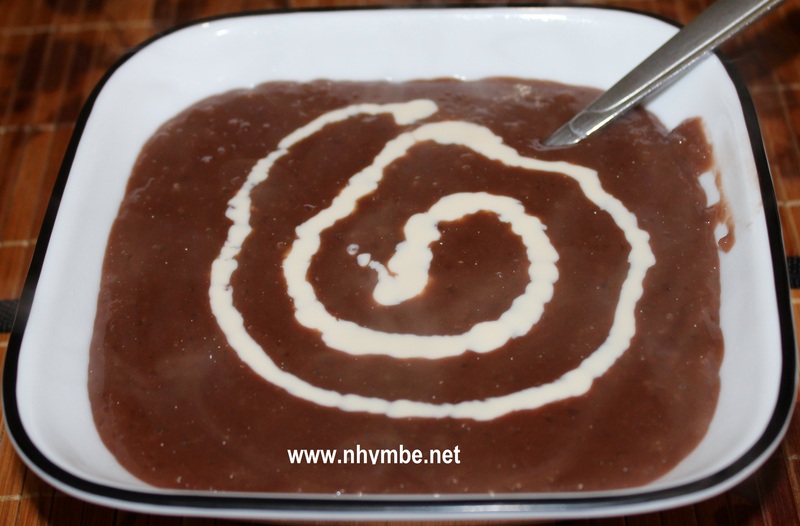 My version of champorado is very creamy and tasty because I usually include coconut milk (if available) aside from the evaporated milk that is usually included in champorado recipes. 1) In a pot, put the coconut milk and bring to boil. Simmer for 8-10 minutes. 2) Add the malagkit rice and water stirring once in a while until it boils. Simmer for 10 minutes, and continue stirring once in a while. 3) Add the cocoa powder and stir until well blended. Simmer for another 10 minutes, stirring once in a while. 4) Add the brown sugar and half of the evaporated milk (reserve the half of the milk for toppings) and simmer while stirring once in while for another 10 minutes or until malagkit rice is well-cooked. I saw this menu in Pinoy drama series, BCWMH and look for the recipe. tq.